Update: Visit my resources page for more information and tips for going vegan. When I to cut meat out of my diet over a year ago the decision stemmed from numerous different inspirations. My desire to lead a healthier lifestyle had led to me to watch a couple of documentaries on a plant-based lifestyle such as Fat, Sick and Nearly Dead and Forks Over Knives. Then I found myself reading Eat to Live by Joel Fuhrman. After that, I really loved the idea of becoming vegan but it just seemed too hard. I did eat vegan for two weeks last October and I had a lot of fun learning to cook vegan recipes. I can’t remember exactly what made me add the dairy products back in but it probably had something to do with my love of cheese. One thing I learned from this experience was that cutting meat out of my diet was surprisingly easy for me. Another thing I learned was that I really love vegetables and how I feel when I eat a lot of plant-based foods. So I continued eating as a vegetarian and have been until a couple days ago – when I decided to try veganism again. 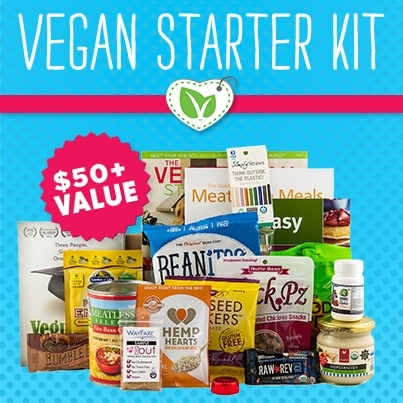 The funny thing is, this “30 day vegan challenge,” as I’m calling it, did not begin as a new year’s resolution. It wasn’t until January 2nd when I decided to watch Vegucated, a documentary about three people who took a 6 week vegan challenge, that I decided I wanted to do the same. I have to say that the videos of what animals endure in the factory farming system was more shocking and sickening than I had imagined – to the point that I was having anxiety attacks for the rest of the day and could barely get to sleep that night. It is so hard for me to believe that we as humans have let our demand for convenience get to such an extreme level that we treat our fellow animals in such a way. Many times before I have been heard saying that I could never be vegan because I love cheese too much. And until I watched this film I truly believed that by purchasing organic, “free range” dairy products I was doing the right thing. I’m no longer sure that I can choose to live in ignorance when I know what is really happening to all of those poor animals being so horribly mistreated by factory farming. Perhaps it’s also the fact that I’m turning 30 this year and as I approach the next big “milestone” I am coming to realize how much more important health is than anything else. The other day some friends and I were chatting about time and how everyone is slowly dying every single minute. We weren’t trying to be glass half empty thinkers. We were just discussing the beauty and sadness of our own mortality. But it definitely got me thinking about how healthy we keep our bodies has a direct correlation with the number of years, and quality of those years, that we get to enjoy being alive on this planet. Perhaps another reason my health has moved from the back burner to the front – pun intended 😉 is the fact that I’m getting married this year. I’ve promised myself to another person – my best friend – and in a way I sort of feel that I owe it not only to myself, but also to my fiance that I take good care of myself. I want our lives together to be spent in good health and full of energy and exploration. So I’ve decided to start this year off with a lot of exploration – into vegan recipes and ideas. Luckily, I already love cooking and planning meals and already being vegetarian for over a year makes it less of a scary step to cut out animal products all together. And even though it requires some extra thought and effort, I know that planning meals ahead of time will make eating a healthy vegan diet possible in my busy schedule. It’s been fairly simple so far but I’m a little nervous to see how it goes once I head back to work. I plan to keep blogging throughout this 30 day vegan challenge to track my progress and share some insights.